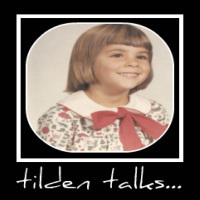 tilden talks...: I'm Ready to Go! This morning has just been too much for me. I'm ready to bolt. The last two hours have been non-stop with people interrupting me, asking me for things that I don't have and not listening to a word I say. Even when I try to explain why I don't have what they want or tell them to "Please - give me a minute", they just keep right on going. I've had it. So for the last hour, I've been looking for a place to run away to. I don't want tropical because we've had so much hot here lately. But I do want a seaside beach, luxury accommodations and a view. I also want to be able to eat at odd hours, so a kitchen is a must too. In my search I found a bunch of great looking getaway spots, but I really want to visit North Carolina. I found http://www.towersatnorthmyrtlebeach.com. The Towers at North Myrtle Beach have everything I'm looking for and more. After checking rates and availability, I'm sold. The towers at myrtle beach offer 1, 2 and 3 bedroom condominiums so groups or families could stay together. I think I'll travel by myself this time. I always talk about visiting Myrtle Beach and I've got my card in hand waiting for a free minute to make my flight reservations. With that done I'll make my reservations for The Towers and a luxury room with a spectacular view. No one will bother me there. They'll all be lucky if they can find me! Hey, you want beaches, good food and cool weather, why not come here? I have a kitchen! I'll even put satin sheets on your queen-sized bed!